Holiday Camper is handcrafted, dated in 1998 and sculpted by Ed Seale. QX6783. 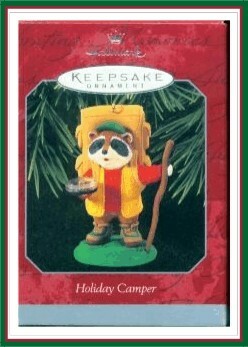 With his compass and his backpack, this raccoon is on his way to find the perfect campsite for a merry Christmas Day!